The Zionist Organization of America (ZOA) strongly praised the U.S. Senate for unanimously passing the bipartisan “Anti-Semitism Awareness Act” on December 1, 2016 – introduced by U.S. Senators Tim Scott (R-SC) and Bob Casey (D-PA) on November 29th – which will improve the enforcement of Title VI of the Civil Rights to protect Jewish students from anti-Semitic harassment and intimidation at federally-funded schools. The State Department’s longstanding definition of anti-Semitism appropriately recognizes that anti-Semitism can be expressed in many ways. It includes not only traditional expressions of Jew-hatred, but also the demonization of Israel (e.g., comparing Israeli policy to that of the Nazis), the imposition of an impossible double standard on Israel, and the delegitimization of Israel (i.e., denying the Jewish people their right to self-determination and denying Israel the right to exist). The legislation would require the DOE to consider that Title VI might be violated if Jewish students were subjected to a hostile environment engendered by anti-Semitism that is expressed as anti-Israelism or anti-Zionism. The DOE is responsible for enforcing Title VI to prohibit discrimination at federally-funded schools on the basis of race, color, or national origin. The legislation would require the DOE to consider that Title VI might be violated if Jewish students were subjected to a hostile environment engendered by anti-Semitism that is expressed as anti-Israelism or anti-Zionism. Historically, the DOE did not even enforce Title VI to protect Jewish students from anti-Semitic harassment and intimidation. The agency considered Jews to be strictly a religious group and not also an ethnic group, and thus outside the protections of the law. But after a six-year battle led by the ZOA, the DOE changed its interpretation of the law in 2010. 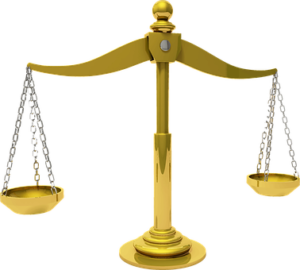 The DOE recognized that Jewish students who face discrimination based on their actual or perceived ancestry or ethnic characteristics were entitled to the protections of Title VI. Morton A. Klein, the ZOA’s National President, Susan B. Tuchman, Esq., Director of the ZOA’s Center for Law and Justice, and Zach Stern, Managing Director of ZOA Campus, stated, “This legislation is crucial to ensuring that the rights of Jewish students to a safe and welcoming campus environment are fully protected under Title VI. 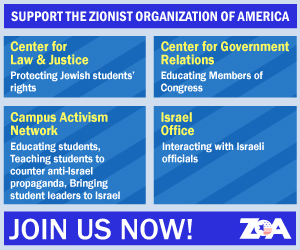 Based on the ZOA’s work with Jewish students on campuses across the country, we know that they are not only enduring ethnic slurs and the vandalism of Jewish property, which few would question as anti-Semitism. They are also facing anti-Semitism expressed as vicious anti-Israelism and anti-Zionism. Hate groups like Students for Justice in Palestine are creating a hostile learning environment for Jewish students, calling for an intifada and for Israel’s destruction. They blame ‘Zionists’ for high tuition and other problems. And they engage in vicious and hurtful name-calling against Jewish students, falsely accusing them of being racists and baby-killers.